Constructed of durable 12oz vinyl and treated for germ resistance. 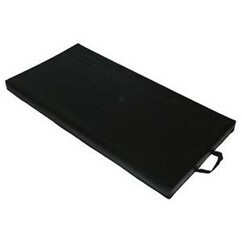 Comfortable 1" thick mats that provide a firm but relaxing rest support. Fitted with handle on side or end for ease in carrying. Please specify when ordering. Foam is top quality Polyurethane.